From time to time we get pics of projects that i3 members have made, but don’t feel is right for an article. When we get one of those pictures, we will post it in our i3 Gallery here. 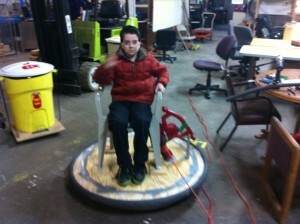 John S and son built this working Hovercraft. Local Detroit Hackerspace Wins Red Bull Creation Semi-Finals – Heads to... Red Bull Creation 2013 – Liveblog! !